Sudden Infant Death Syndrome (SIDS) is a terrifying prospect for parents. Today, the term is called SUDI (Sudden Unexpected Death in Infancy) and thankfully the numbers are well down on previous years. 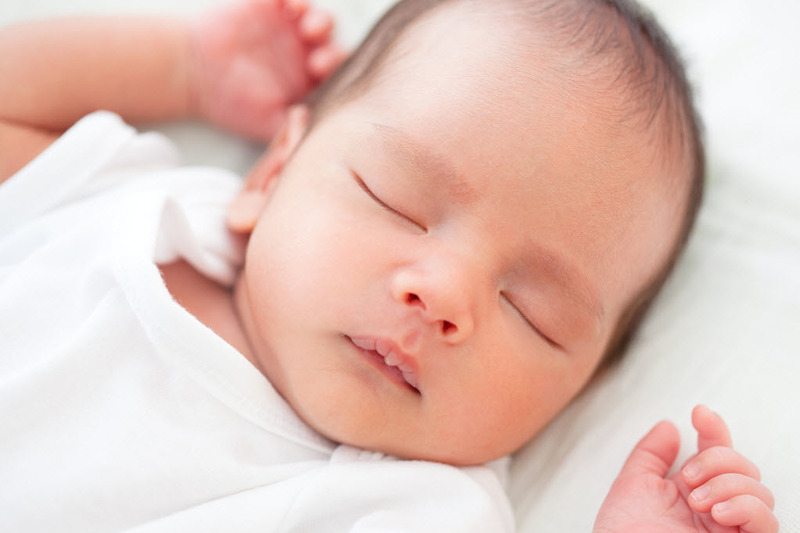 As the acronyms suggest, the exact causes of SUDI and SIDS remain unknown in a lot of cases. Research has shown that exposure to tobacco smoke can increase the risk, while the baby’s sleeping arrangements may also contribute. But in most instances, research has been unable to determine the exact cause of death. There were 5015 SUDI deaths between 1989 and 2016, but thankfully there was also an 85 percent decrease in the rate of SUDI deaths in the same period of time. Awareness campaigns are credited for this major reduction, but even with greater knowledge, there were still 94 deaths in 2016. So what is the latest research and how can you do everything possible to prevent SIDS and SUDI for your newborn? Red Nose (formerly SIDS and Kids) has a raft of evidence-based research available for parents, including a guide on safe sleeping habits. The first step is to ensure the baby’s cot meets the Australian Standard and is free of soft or bulky bedding which can increase the risk. That means no pillow, bumpers, lamb’s wool, plush toys or doonas. The cot should have a firm, well-fitting mattress. Babies should sleep on their back, as research has shown that sleeping on their side or tummy can increase the risk of SUDI or SIDS. Lay the baby gently on its back with feet at the base of the cot, with bedding tucked in firmly (or use a baby sleeping bag with fitted neck and armholes and no hood). Co-sleeping – sharing the same sleeping space – can increase the risks, especially for infants under the age of three months. It is recommended that your baby sleeps in its cot, although you can station this cot beside your bed to keep a watchful eye over your little one. There is a very high risk of infant death if a baby shares a sofa or couch with a parent who falls asleep. The baby can become wedged into cushions or the back of the sofa and suffocate. Injuries from falling off the couch are also common in this situation. Do baby monitors make parents complacent? The digital age has led to many advancements in baby monitoring devices, with smart baby monitors and wearable devices now available to keep around-the-clock surveillance of your infant. But University of Sheffield clinical lecturer in pediatrics David King warns that these devices should not be relied on to eliminate SIDS and SUDI. While these smart devices do not advertise they are medical devices, many parents have a false sense of security the products will keep their babies safe. “[One manufacturer] says [the device] will let you know ‘if your baby is sleeping soundly or if something is wrong’. No published data support any of these claims, and because the devices are being sold as consumer rather than medical devices such data is not required,” King wrote. One of the best techniques to prevent SIDS and SUDI is one of the oldest – wrapping and swaddling. This soothes the baby and there is published research showing it reduces the risk of SIDS because it keeps baby on its back. These techniques should be used until six months. There are some instances where babies don’t like to be wrapped or swaddled, which can be countered by the use of dedicated baby sleeping bags which keep them on their back while also allowing them arm movement. While it is important for babies to sleep on their back, it is also vital to remember they need time on their tummy for their development. Tummy time helps infants build their head, neck and upper body strength and gives them the agility they will need to begin to roll, crawl, sit up and ultimately walk. Babies sleep a lot, so in their waking hours it is important to give them plenty of tummy time – even if they complain about it! Just make sure to place them in the cot – on their back – when they get tired. This information should be treated as a guide only and it is always best to consult your GP for the proper care and advice for your newborn and your situation.